According to Mike Bowditch of Paul Doiron's The Poacher's Son, his father Jack is a "saloon-brawling logger with a rap sheet of misdemeanors and the public persona of a Tasmanian devil." The 24-year-old Mike hasn't spent much time with Jack since his parents divorced when he was nine, and he moved to southern Maine, from its wild northern woods, with his mom. After glumly watching the pavement spreading beneath his feet and graduating from college, Mike became a Maine game warden, a cop whose beat is the forest. It's an all-consuming, poorly-paying job, but Mike loves it. Now, Mike's girlfriend Sarah has given up on his ever attending law school and has moved out. He hasn't seen his father for several years. An angry meeting about a Canadian timber company's purchase of Maine forest land and what it means for the land's leaseholders ends with the ambush-style shootings of Jonathan Shipman, the company's spokesman, and Deputy Bill Brodeur, who was driving him. Immediate suspicion falls on Jack. When Jack escapes from police custody and disappears into the woods, Mike and his mother are the only people who think he's innocent. Mike risks his job, his friendships, and his relationship with Sarah to find and clear his father. While we follow Mike's actions in the present, he reminisces about earlier times with Jack. The shifts in time and setting are very smoothly handled. Doiron's characterization, setting, pacing, and plotting are all first-rate. This book is a realistic portrayal of complicated relationships between a son and his father, men and women, and people and nature, as well as the suspenseful search for a double-murder suspect that reaches an explosive finish. By the end, I was holding onto my chair. 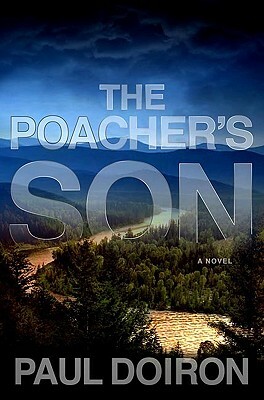 The Poacher's Son, published by Minotaur Books in 2010, was nominated for four major mystery fiction awards and received the 2011 Barry Award for Best First Novel. The author grew up in Maine and is currently the editor-in-chief of Down East and a Registered Maine Guide. During this last week, I've been unhappy about the shooting of wolves right outside Yellowstone National Park. Reading this achingly vivid book, written by a man who obviously loves the woods of Maine, its traditional way of life, and its wildlife––and who also recognizes the terrible toll of progress––somehow soothed my spirit. Shelve Doiron's Mike Bowditch books next to books by C. J. Box. I highly recommend this one, the first in the series. A father-son relationship isn't the main focus of Canadian writer Linwood Barclay's 2012 stand-alone book, Trust Your Eyes, published by Penguin Group (USA). Instead, the center of interest is the relationship between two adult brothers: Ray is a 37-year-old illustrator who lives in Burlington, Vermont. He looks like the slender Vince Vaughn from the movie Swingers. His two-years-younger brother, Thomas, lives in Promise Falls, New York, and looks like the meatier Vince Vaughn from The Break-Up. Thomas is a schizophrenic and maps savant. He has decorated the upstairs hallway of the family home, where he lives with his widowed father, with so many map pieces it looks "as if someone had put the world into a blender and turned it into wallpaper." Thomas spends 23 hours per day in his bedroom, and he uses almost every waking moment to memorize the world's cities, using the computer program Whirl360. According to Thomas, this is a job he does for the CIA. Thomas foresees a catastrophic global event that will cripple computers and thus create a world without maps. He'll be the only person who knows how to reproduce them. "And not just maps, but how each and every street in the world looks. Every storefront, every front yard, every intersection." Keeping track of Thomas's progress on this project and acting as his CIA liaison is former U.S. President Bill Clinton, who "talks" in Thomas's head. When Ray and Thomas's father dies in a lawn-tractor accident, Ray returns to Promise Falls to take care of his father's estate and to figure out Thomas's future. It helps Ray when he runs into Julie McGill, an old high-school acquaintance who now works as a reporter for the Promise Falls Standard. It becomes more difficult for him when Thomas's emails to the CIA cause the FBI to visit. Things get more complicated still when Thomas insists that Ray investigate something Thomas saw while "walking" through Whirl360's streets of Manhattan: an apartment window revealing what looks like a woman's head covered in plastic. Thomas believes he's witnessed a murder. Trust Your Eyes alternates chapters, in which Ray narrates his travails with Thomas, with chapters detailing a political campaign that's running amok. 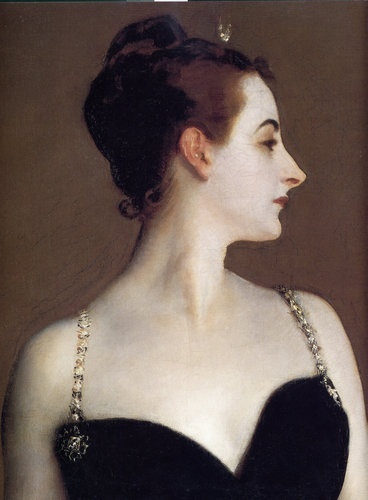 These two story lines, which travel back and forth in time, require the reader's attention, but eventually they connect in a very satisfying way. The whole 498-page book is satisfying; a Russian nesting doll of layer-upon-layer deception and betrayal. There's a delicious contrast between obvious blunders that just get worse and seemingly inconsequential actions that lead, step by step, to disastrous consequences. It's great to see characters with mental illnesses featured as interesting good guys, rather than villains, in books such as Franck Thilliez's thriller, Syndrome E (reviewed here); Jonathan Lethem's Motherless Brooklyn (reviewed here); George Dawes Green's The Caveman's Valentine (reviewed here), and this one. Doiron's The Poacher's Son and Barclay's Trust Your Eyes are written by talented story tellers. They feature characters who grow and change. They provide a fascinating look at relationships, the nature of love, and the expectations people have for each other. These books are a good springboard for discussions about how we make decisions and the role that chance plays in our fate. On top of this, they're fine mystery fiction. They're sure-fire holiday cheer.